Mayo Clinic Sports Medicine at Mayo Clinic Square will host athletes of all levels – with a few NFL players expected – at a special health and fitness event featuring minicamp-inspired physical assessments. Student-athlete participants will go through movement screenings and learn ways to address the risks of their sport. They will interact with guest NFL players and get the latest in sports psychology, nutrition and recovery. In attendance will be Michael Stuart, M.D., and Edward Laskowski, M.D., co-directors, Mayo Clinic Sports Medicine; Jonathan Finnoff, D.O., medical director, Mayo Clinic Sports Medicine at Mayo Clinic Square; Mayo Clinic Sports Medicine and Exos staff; and invited guests. Up to 10 former and active NFL players may attend. Their visit is part of the NFL Players Association’s #SportsBiz Local: Minneapolis tour that connects players with local businesses and communities. The event will be held at Mayo Clinic Sports Medicine at Mayo Clinic Square, third floor, 600 Hennepin Ave., Minneapolis. Journalists should arrive at Mayo Clinic Square by 3:45 p.m. CST. They will be escorted to the event. The event will take place on Friday, Feb. 2, from 4 to 5:30 p.m. CST. 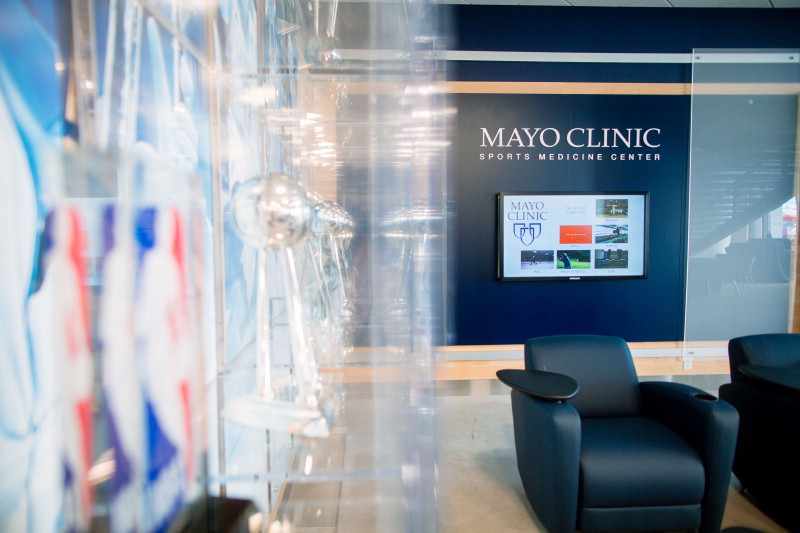 In addition, Mayo Clinic Sports Medicine at Mayo Clinic Square will hold a public open house on Saturday, Feb. 3, from 10 a.m. to 6 p.m. Minnesota Lynx player Rebekkah Brunson will help demonstrate activities in the motion lab from 1 p.m. to 2 p.m. Journalists interested in attending the minicamp or the open house should RSVP to Rhoda Madson, Mayo Clinic Public Affairs, at 507-284-2005 or newsbureau@mayo.edu by Thursday, Feb. 1.